Creative ruts can happen to anyone, not just creatives. You could be in a job for too long, where your opportunities for growth are dwindling. You could be at the top of your game as a snowboarder but can't land any new tricks... It can, and will happen to everyone at some point or another, but overcoming it can sometimes prove to be the challenge itself. There is no single solution for breaking it up, everyone's brains work in different ways. However, there is perhaps a simple tool that can help you break it. I was recently listening to a NPR podcast featuring legendary climber and entrepreneur, Yvon Chouinard. There were a lot of great things that Yvon spoke of, but one of the things that stood out the most is "take a step forward and see how that feels, if it feels good, take another step, if it feels bad, I step back." Taking a step forward, in any direction is better than being planted on your feet. In my case, I have spent the last 3 years pursuing outdoor photography. The last year I haven't been motivated, i've lost interest and now I have to take a step in a different direction. It doesn't necessarily mean that you won't end up back on that same road, but maybe you will have a different perspective. 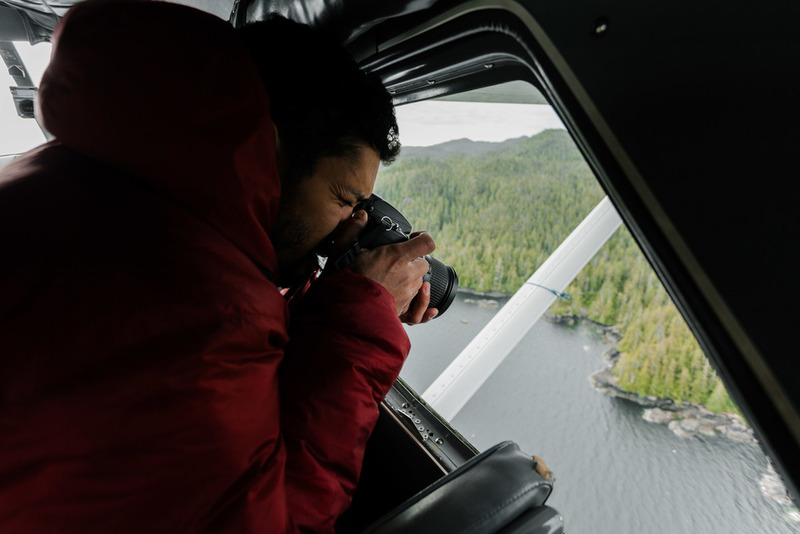 If you are lucky, you've either made friends with a pilot or your client is sending you in a helicopter to shoot some photos and like my first few trips, you probably don't know what you are doing or how to maximize your opportunity to get the shots. Hopefully this guide will help you with some basics that i've learned over the last few years. If you have the luxury of owning multiple lenses, my recommendation is to bring a wide angle lens like a 24mm or 35mm as well as a telephoto like a 85mm or 200mm. Avoid bringing zoom lenses as the wind from an open window or removed door will actually force zoom your lens and can be tricky to work with. Having the variety of both a wide angle and telephoto will allow you to switch lenses on the fly to get close up's of mountains, valleys, trees and focus in on distant landscapes while the wide angle will allow you to have the perspective of inside the cockpit, wider landscapes, and shots of parts of the aircraft like a tail rotor of a helicopter. I'd also recommend a polarizing filter or uv filter to crisp up the landscape and remove highlights or haze. I only shoot with manual settings for full control, however as you are starting out, I would recommend looking at shutter priority mode (TV on most DSLR's) and set your shutter speed at a minimum of 1/400 to make sure your photos aren't blurry from the movement of the aircraft. I also recommend an ISO of 100-250. On some of my first trips, some of my favourite photographs were just a tad bit blurry, and although I was reviewing them during the trip on the back of my LCD screen, I wasn't able to see the fine details that had been blurred from the motion. Before your shoot, or flight... Request that the pilot remove either a door or window from the aircraft, this will really allow you freedom to move around freely and avoid glare from a window. During the flight, be sure to communicate with your pilot about the shots you need to get... Get to know the terminology of flight. Sitting right behind the pilot will allow you and the pilot to be on the same page and they will be able to see what you are seeing easier. Shooting from an airplane is much more difficult than a helicopter as the plane is in constant forward movement and can only slow it's airspeed to a certain rate. In this case you will consistently need to keep your shutter speed above 1/640 and anticipate your desired shot before you approach it. Shoot in rapid fire mode to have a selection of shots to choose from after. I also recommend using a telephoto lens for most of your aerial shots to avoid getting the wing or strut in your shot, unless that's what you are going for. For more aerial photography examples, click here.